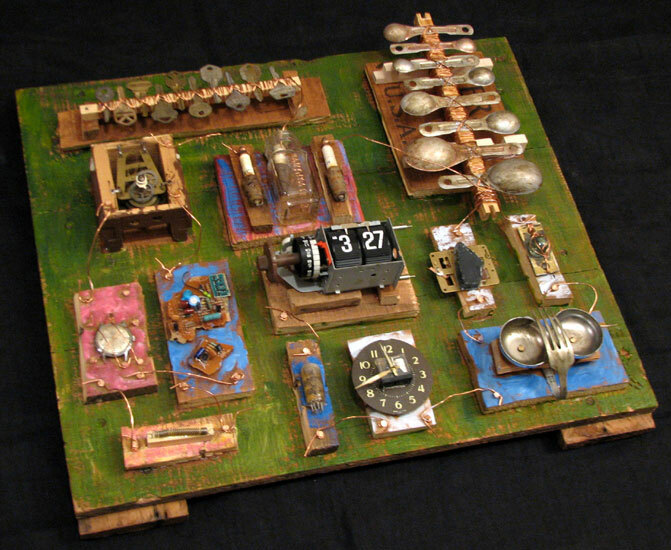 “Time Machine” assemblage sculpture. found objects, copper wire, tacks, wood, adhesive, acrylic paint. 21 in x 20 in x 6 in.